Carl throws his Pickaxe with more speed, allowing it to travel faster and return faster. Carl specializes in doing area of effect burst damage and is designed to duel brawlers in short to mid range. He only reloads once. 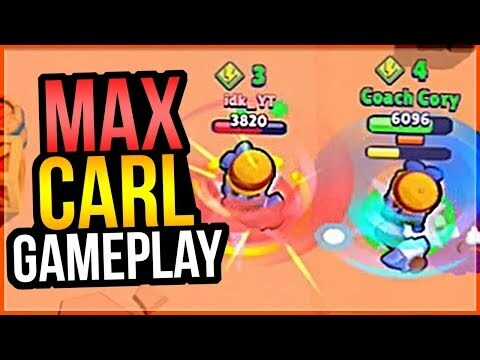 Carl's Super increases his movement speed dramatically for a short period of time. Because of this, he can also use it to escape tight situations if necessary. Carl's Super does a lot of damage but at a short range. Be sure to get close to an enemy Brawler to maximize its damage! Carl cannot use his main attack while using his Super, but he can still use his Super if his pickaxe is still flying. If a target is behind the edge of a wall, Carl can throw his pickaxe near the wall and move to make the pickaxe travel in an arc. Then, the pickaxe can hit the target on the way back. Carl throws his Pickaxe like a boomerang. After he catches the returning Pickaxe, he can throw it again. Carl goes into a crazy spin for a few seconds, flailing around and damaging nearby opponents. 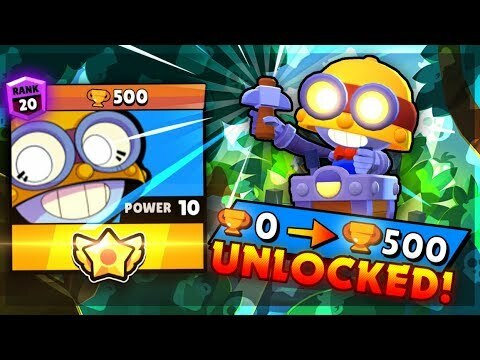 CARL UNLOCKED & Push to 500 Trophy Carl!